Every year the MVMA selects an Emerging Leader in Maine. Our Emerging Leader's frequently take on leadership positions in the association and the profession. They also join Maine's delegation at the AVMA Veterinary Leadership Conference and the Northeast Veterinary Medical Conference. MVMA members who graduated in the last 15 years are eligible to be the Emerging Leader. What motivates you to apply for a veterinary leadership training program? In your experience to date, what leadership positions have you held? What special qualities do you think you could provide to the leadership of a veterinary or any other organization? Applications due August 16, 2019. 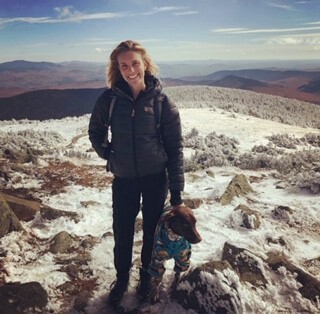 Dr. van Binsbergen received her veterinary medicine degree from the University of Edinburgh, Scotland in 2010 and bounced around a bit before landing in Maine. Following graduation she volunteered as a spay/neuter surgeon in Costa Rica for a few weeks. She then went on to work in a general practice and did relief work at a large shelter in the NYC area for 4 years. After that she did a year stint at a practice in her home town of East Hampton, NY. Next she went on to work for several months back in Edinburgh, Scotland before finally moving to Maine in 2015. For the past 3 years she’s been an associate at Casco Bay Vet Hospital in Portland and also works a few hours a week at the Animal Refuge League of Greater Portland. This fall she did a spay/neuter trip to the Pine Ridge Reservation in South Dakota with some of the ARLGP team. In her limited spare time she’s typically training for a marathon or on an outdoor adventure with her rescue pup Henry. Dr. Sipe-Edelman received his DVM degree from Kansas State University in 2006, while also completing a master's degree in Pathology from the University of Kansas Medical Center. He is originally from Illinois, but has lived in various parts of the country, including Florida and Kansas. 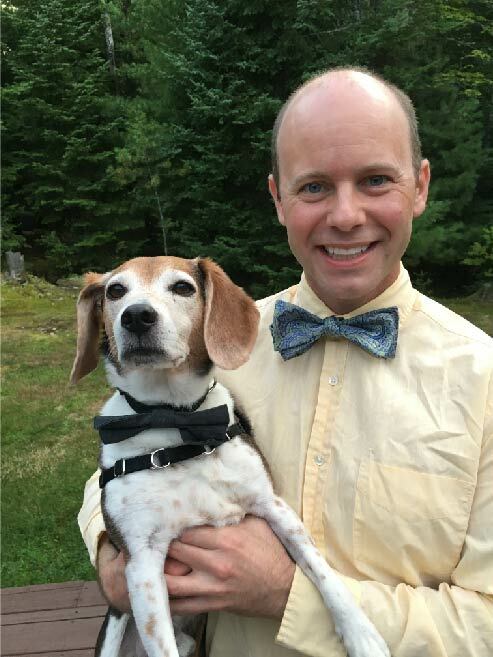 Dr. Sipe-Edelman moved to Maine in 2016, where he currently works as a small animal and exotic animal practitioner at Lucerne Veterinary Hospital. He lives in Orono with his husband, a professor at the University of Maine, and their two hounds, Ziggy and Darrowby. When not practicing veterinary medicine, Dr. Sipe-Edelman enjoys traveling, running, biking and the culinary arts. Dr. Hodgkins grew up in Gray, Maine and graduated from the University of Maine in 2006. She then completed a master’s degree in immunology at the University of Vermont followed by her DVM at Cornell University in 2013. 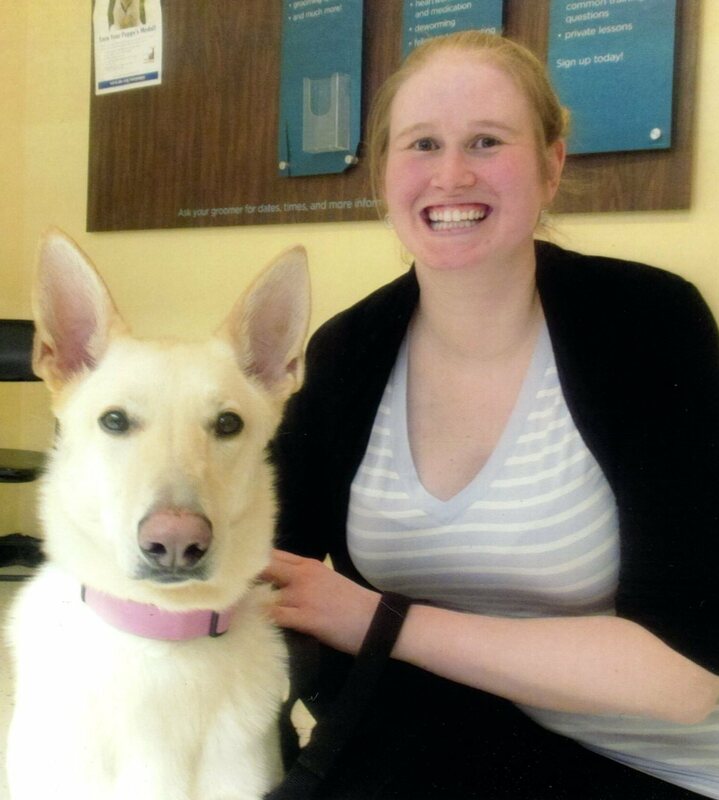 She returned to Maine to practice small animal medicine at Pine Tree Veterinary Hospital in Augusta, Maine. In 2016, she participated in MVMA’s inaugural Power of Ten program. In her free time, she enjoys spending time with her husband and young son, as well as their two dogs and one rabbit.